Since App-V apps reside in their own virtual bubble you may have a situation whereby you need to link your virtual applications so that they can have direct interaction with each other. 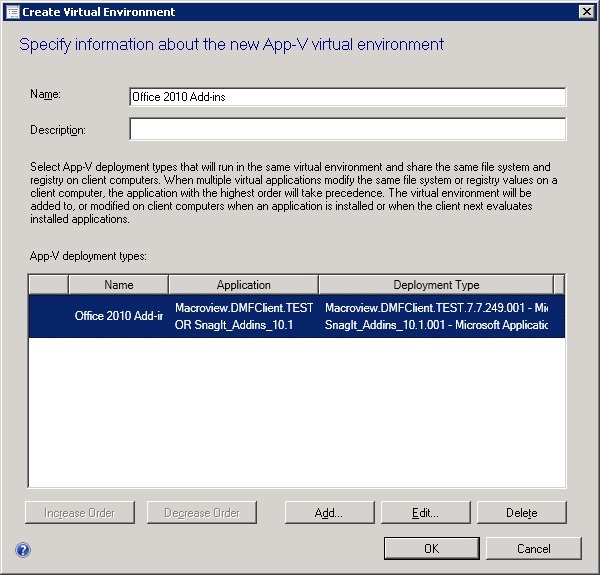 The example below creates a Virtual Environment to run Office 2010 add-ins in the same virtual workspace and hence are both available to Office 2010 at the same time. 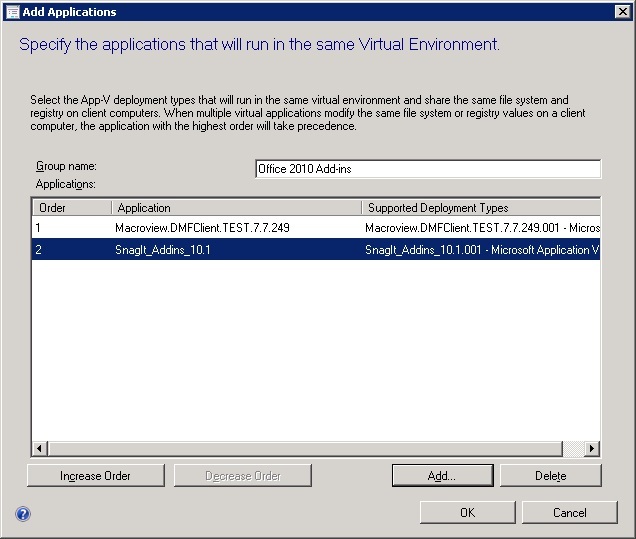 In the SCCM Console click the Software Library workspace and right click App-V Virtual Environment. Choose Create Environment. Enter a group name for the environment and click Add again. 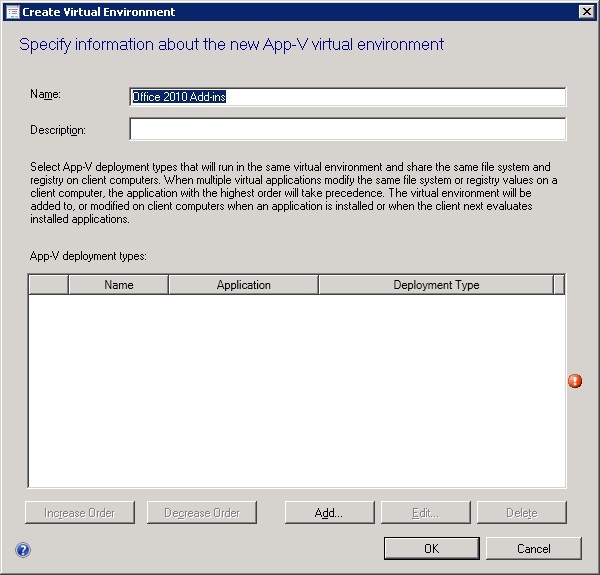 Select the first application to add to the environment from your apps and check the relevant application in the App-V sequence. Click Ok. Select Add again and choose the next application to add into the environment. Repeat this process until apps have been added. In my example I have added two applications. Click Ok once complete. Note the logic that is created here. An OR operator has been applied. You can change the operator by creating separate application groups and linking them to the applications. Click Ok. 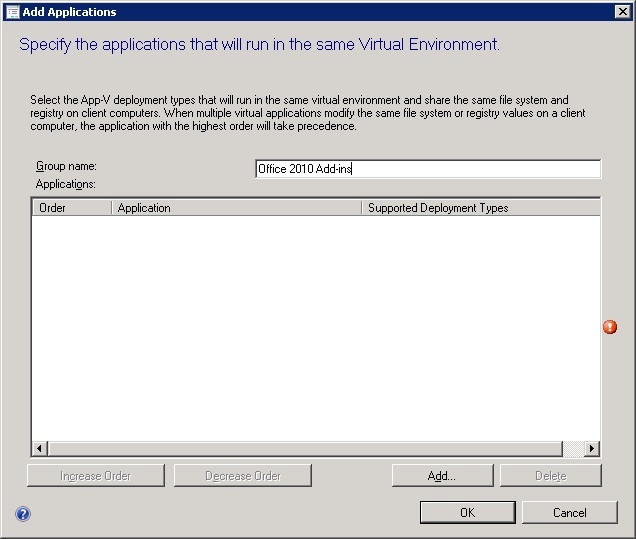 The Virtual Environment will be created in the SCCM Console. On loading one of the App-V applications I can then confirm that the application linking has taken affect. In my example both the Macroview and Snag-It add-in are available to me in the virtual workspace. I have confirmed this in Word 2010. 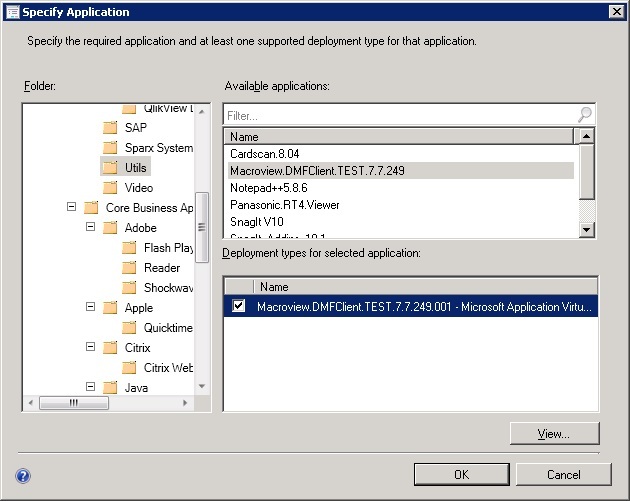 By running Powershell on the client device I can issue a Get-AppvClientConnectionGroup command. This shows me the App-V Virtual Environment running on the device.